The New York Islanders didn’t make too many changes this past offseason; after all, there wasn’t much of a need for drastic change. The Islanders had a great season last year and fought very hard in the playoffs against a tough Washington Capitals team. The Capitals came close to making it to the Conference Finals, so the Islanders certainly lost to a worthy opponent. Though the game 7 loss was a tough pill to swallow, especially since the Islanders didn’t compete as fiercely in game 7 as they had throughout the season and the rest of the first-round series, there is a lot this young Islanders team took away from that experience. This year, the team is one year older, one year wiser and one year hungrier. 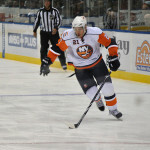 The Islanders are a hard-working and relentless team led by one of the best players in the NHL in captain John Tavares. Though there were rumors this offseason that Kyle Okposo might be on his way out because his contract is due to expire at the end of this season, Okposo remains an Islander and is now back on the top line with JT. The Islanders were without starting netminder Jaroslav Halak for the first chunk of the season due to injury, but backup goalie Thomas Greiss and the rest of the squad took care of business. The Islanders now sit in fourth place in the Metropolitan Division, which is a great place to be, especially for a team that is winning but hasn’t even reached its true potential yet. 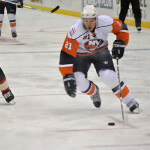 There is a lot in store for the Islanders this year, and the season has only just begun. Claimed G Jean-Francois Berube off waivers from Los Angeles. 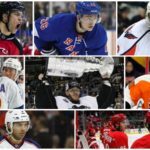 The New York Islanders did not make significant moves this offseason; in fact, the team barely made any moves at all, significant or not. The Islanders were smart to keep all the pieces of the puzzle intact rather than making drastic moves just because the team didn’t advance past the first round of the playoffs. The Islanders did what they had to do by re-signing important components of the lineup, such as Anders Lee, Brock Nelson and Thomas Hickey. The club went out and got a legitimate backup goaltender to replace Michal Neuvirth (and Chad Johnson before him); Thomas Greiss has played very well for the team so far this season. 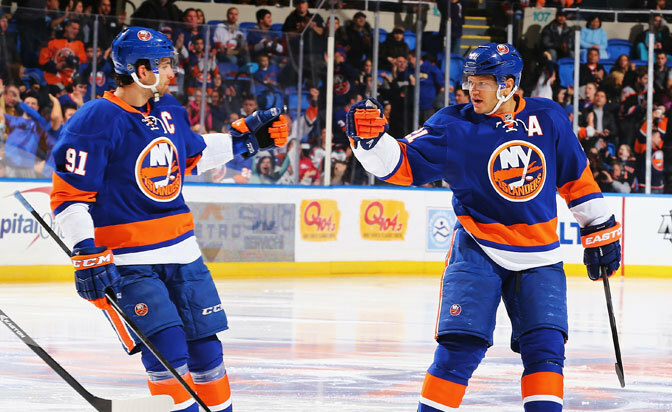 The Islanders did not trade Kyle Okposo despite rumors suggesting he might be on the block. In a transitional year as the Islanders club moves to the Barclays Center in Brooklyn, it makes sense that the team should not have to go through much of a transitional period in the locker room. However, the lack of change can be representative of the “work hard and battle” mentality that general manager Garth Snow and the rest of the Islanders organization wishes to employ now and in the near future. The New York Islanders had an impressive season last year. It seemed as though all of the drafting, development and slow-but-steady acquisition of talent finally paid off in a big way, as the Isles were one of the most competitive teams in the National Hockey League. The Islanders team from last season was tough, competitive and fearless. 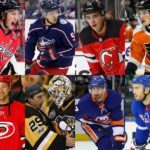 From having one of the most talented players in the league in Tavares to having one of the best fourth lines in hockey with Matt Martin, Casey Cizikas and Cal Clutterbuck, to having solid goaltending and having a strong defense with Nick Leddy and Johnny Boychuk leading the charge, the team had and has a lot of things to be proud of. The Islanders can continue this season knowing that they already proved they are a top team, they already proved they are a playoff team and they already proved they can go toe-to-toe with any formidable opponent. Now it’s about stepping up and taking control. New York has the talent, the discipline, the coaching, the scoring, the defense, the goaltending and the leadership necessary to put together a strong playoff run. The regular season is a long and winding road, but if the Islanders can stay true to the team’s hard-working identity, then it would be surprising to see the Isles miss the playoffs this year.